In the series: Real Cyclocross, we’ll be sharing interviews with promoters and team directors, tips and tricks for racing and training, case studies detailing specific events, and a lot of other cyclocross-specific content. As the cyclocross season starts to wind down in the U.S., we’re taking stock of all the reasons we love this particular discipline of cycling. Even if you’re not planning to jump in a race this year (the national championships are now in December, so the opportunities are dwindling! ), now is the perfect time to start thinking about 2019. With a little help from some experts on the topic, we’ve put together a list of the top ten reasons you should try cyclocross this year (or next). Cyclocross races are generally between 40 and 60 minutes, which means that you won’t need the long training hours required for road races. Also, you don’t need crazy downhill or time trial experience to get started. 2. It’s all the rage. And actually, this seems true. Cyclocross Magazine said it’s the “fastest growing cycling discipline of the 21st century.” If you’re looking for a new bandwagon, this could be your chance. 3. But… it’s still counterculture. It’s growing, yes. But the people racing ‘cross are still quick to mention that they chose this particular discipline for its non-conformist reputation. Think of it as the perfect balance between following the cool kids and standing on the edges of society. In general, cyclocross racers are excited to have you at the race, and will go out of their way to help you in any way they can. Every single person we talked to about cyclocross said the same thing. If you’re nervous to try it out, don’t be. Everyone racing is excited to be there, and excited to have new people experience the sport they love. 5. It’s good for the body and mind. Cyclocross is different than other sports. It’s an hour of full-out effort, but because of the technical sections, mud, climbing, barriers, etc., it’s also a race that requires short bursts of energy. It keeps you guessing and completely focused. 6. It will get you outside in the winter. 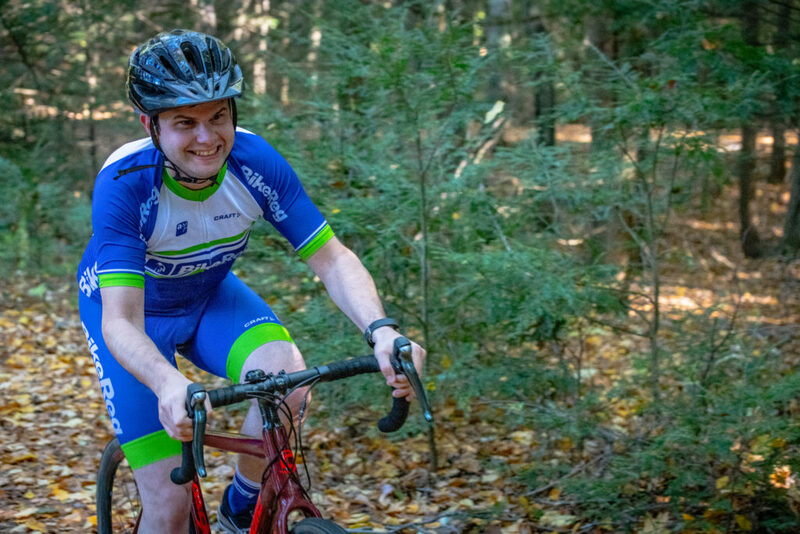 If you’re seeking a sport that will get you outside in the frigid months, cyclocross is a great option. The races get started in the late summer/early fall, and end in mid-December. If you’re signed up to race, you’re a lot more likely to get outside for your training rides, as least until the snow sends you to the trainer. One of the greatest things about cyclocross is that it’s social. The people are nice, the spectators are excited, and sometimes, people hand you money! 8. You’re always really close to your car. One of the great things about cyclocross is how close you are to the car, your team tent, the pit, or wherever you need to be. 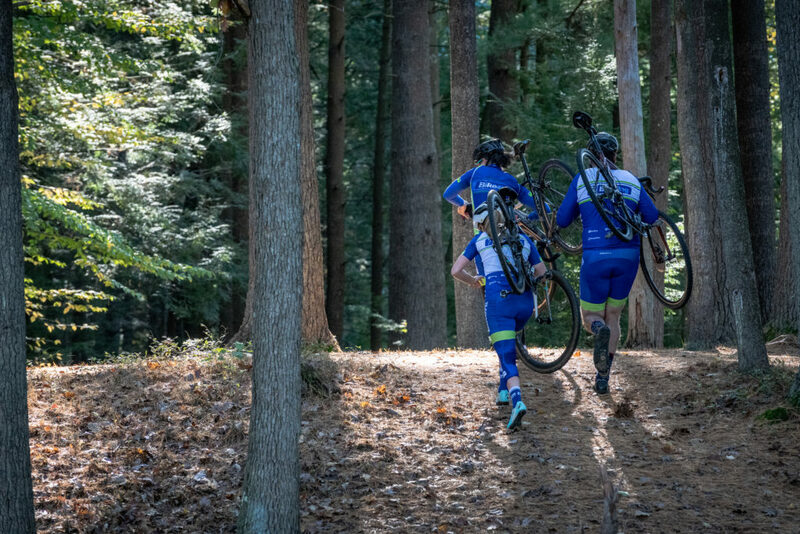 Even if things aren’t going well in the race, even if you flat, or your bike breaks, or your hands aren’t working because it’s so cold — because of the style of a cyclocross course, you’ll never find yourself isolated or alone. This is another great thing about these races. You really are surrounded by people all the time. 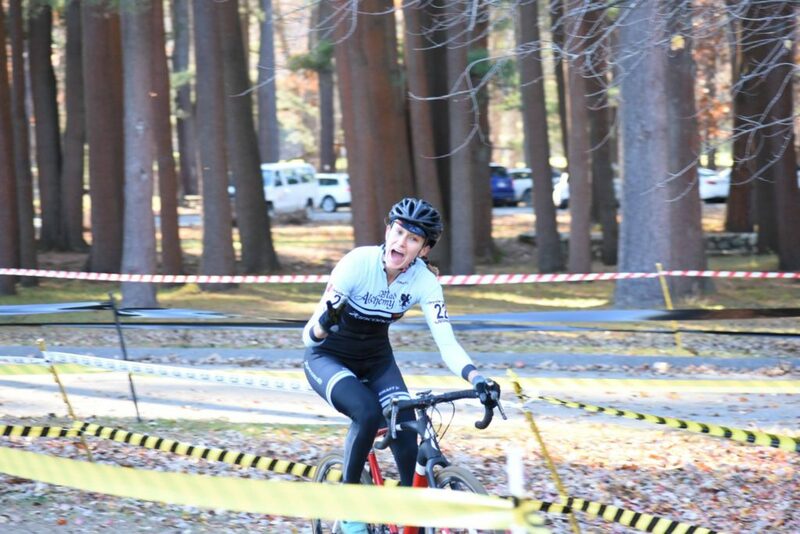 There are no scenarios where you’re three or four hours into a point-to-point race and pedaling alone. If you flat, you may have to run to the pit, but there will be fans cheering you on! Because of the short and punchy accelerations, cyclocross is great for fitness. If you’re new to cycling, think of it as High Intensity Interval Training (HIIT) for the bike. You’ll start hard, settle into a group, and then just as you’re starting to feel like you’ve got the hang of things, you’ll be required to navigate a steep incline, hop over a natural barrier, or get off the bike and run through sand. There’s never a dull moment, or a moment to rest. Gone are the days you get to January and wonder where your fitness has run off to. 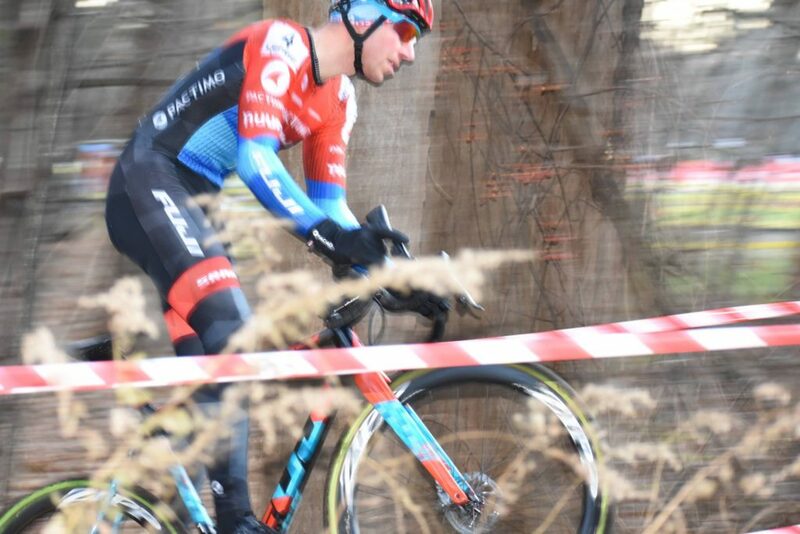 While road races can be taxing on a spectator (four hours in the sun to see your friend or loved one ride by once), cyclocross is amazing fun for the people who come to see you race. The courses tend to double back on themselves, and the laps are short, giving your family and friends ample opportunity to see you go by. The other bonus for spectators is the festival-esque set up. Food trucks, beer tents, music, and the gathering of friends you see each weekend makes the atmosphere fun. You’ll get there early, but there’s coffee! You’ll get hungry and walk to one of the food trucks for snacks. 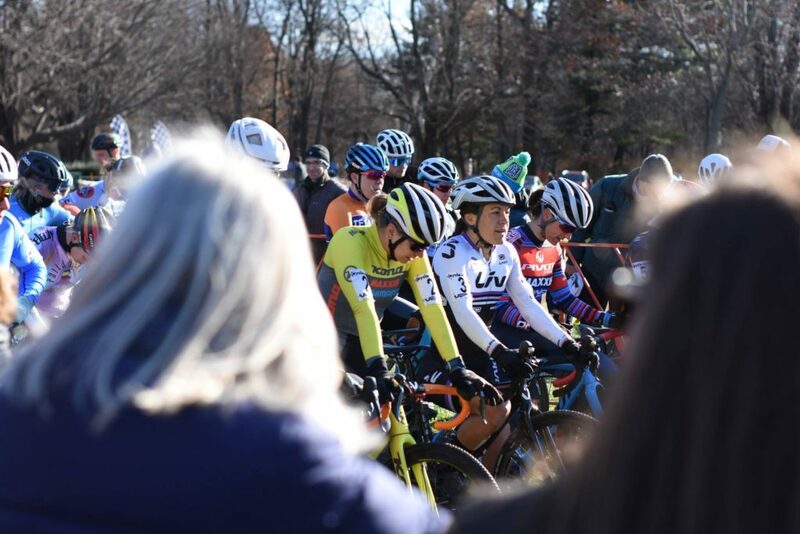 Cyclocross is great for racers and great for fans. As you can tell, we love cyclocross and we think you will too. If you start now, you’ll be raring to go by the time ‘cross season swings back around in 2019. And in the meantime, get those trainers fired up. It’s going to be a long winter.